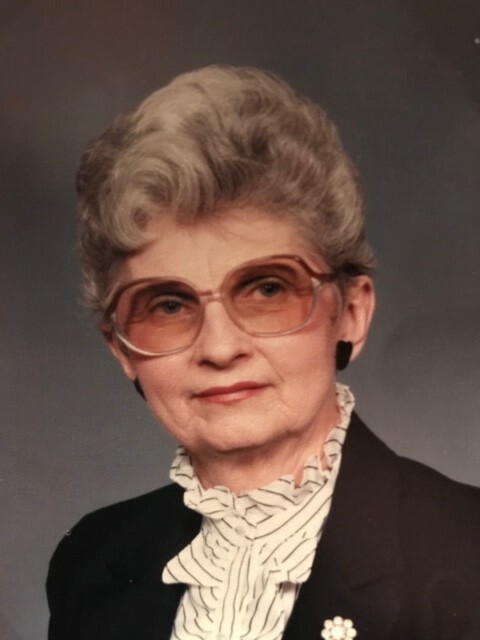 Maxine Edgerly, age 94, of Lakeview, passed away Sunday morning, February 3, 2019 at Spectrum Health-Kelsey Hospital, Lakeview. The daughter of Walter & Clara (Nelsen) Bannen, she was born on May 28, 1924 in Lakeview, where she graduated high school. In 1944, at Lakeview, she married Milan Ralph Edgerly and together they raised two sons. Maxine also worked outside the home as a autoclave operator at the former Kelsey Memorial Hospital in Lakeview. She will long be remembered by many in the community for her sewing, crafting, and quilting abilities and she enjoyed her visits to the coffee shop. She was preceded in death by her parents; her husband, Milan R. Edgerly in 1984; two sisters, Helen Lee and Caroline Bannen; three brothers, Otto Bannen, Lloyd Bannen, and Leonard Bannen; and a daughter-in-law, Sandy Edgerly. Surviving are two sons and daughters-in-law, Gary & Chris Edgerly of Lakeview, and Craig & Edna Edgerly of Loxley, Alabama; seven grandchildren; fifteen great grandchildren; and many nieces and nephews. Visitation with the family is from 2-5 p.m. on Sunday, April 14, 2019 at the Lakeview United Church of Christ, 115 Fifth Street at the corner of S. Lincoln Avenue, Lakeview, where private family services will be held at 11:00 a.m. on Monday, April 15th. Burial will take place later at Riverside Cemetery in Langston. Instead of flowers, Maxine would have appreciated donations to either the Lakeview United Church of Christ or the Lakeview Tamarack District Library. To send a message of sympathy to the family, sign Maxine's online guest book, or to share a favorite memory, please visit: www.ChristiansenCares.com Arrangements are entrusted to Christiansen Cremation & Funeral Care, Greenville.